This was the first book of Randi's that I have read, and I must say she did not disappoint. She allowed the tension and mystery between the lead characters to build up perfectly to the point where the reader can't get enough. I did not want to put it down. The writing is fantastic and the characters are even better. I am so excited to have another author whose style and writing I appreciate so much. I strongly recommend this book and series to anyone who enjoys paranormal fiction. My favorite Havenwood Falls book to date! I completely was not anticipating the plot twist with Graysin (and loved it). And Everett...melt your clothes off thru the pages. For Randi followers, be encouraged that our girl holds true to our supernatural world and weaves another incredible tale full of sass and wit and smoldering hotness. Could not put this down! I have not read any of Randi’s books before but I sure loved this one! I found the story compelling enough to keep me reading way too late into the night! I liked the characters, writing style, plot and have enjoyed ALL the Havenwood Falls series. Now I am reading one of Randi’s other books - truly enjoyable! Thanks for a great read Randi. Absolutely perfect. I'm now in love with Graysin and Everett. I could easily read more about them. I loved Graysin's awkwardness she had me laughing throughout most of the book. Randi Cooley Wilson always writes the most awesome and entertaining stories. 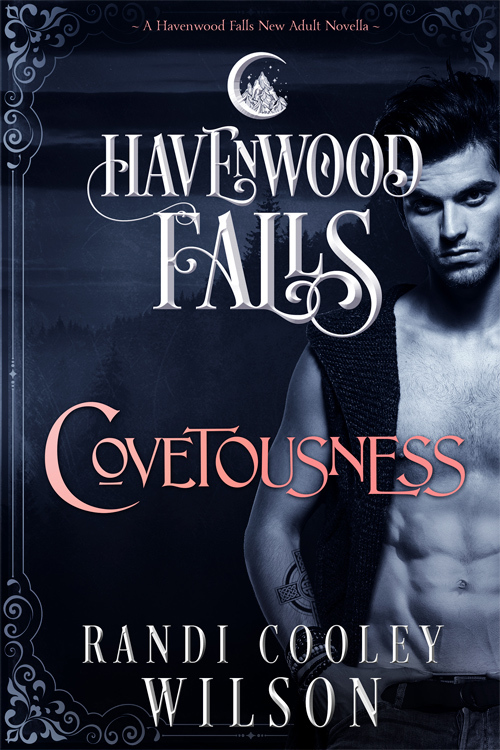 Randi Cooley Wilson's Revelation Series is one of my favorites so I was excited to read what her part in Havenwood Falls would be and let me tell you I was not disappointed! Surprises!! Quick read because it is so wonderful!! I couldn't put it down!